Walter E. Nelson Co. of Salem – Walter E. Nelson Co. The City of Salem is much more than the “command and control” Capital of the State. In addition to more than 20,000 government employees, Salem is the hub of many agricultural processing centers, colleges, and, of course, the ever-popular Oregon State Fair. 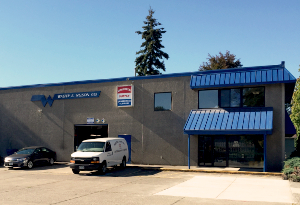 Our local Wenco warehouse is located on Commercial Street—right in the center of all the activity. Walter E Nelson of Salem (formerly “Industrial Supply”) has been a trusted local partner servicing the janitorial, facility supply, and packaging needs of the mid-Willamette Valley residents for decades. It is not unusual to find some of our customers with business relationships with the same Wenco sales representative for 20 or more years. Whether your school needs an emergency delivery of toilet tissue, your cleanroom needs a special floor finish treatment, or your food processing plant needs a proven, environmentally-safe disinfectant, Wenco of Salem is the business partner you can trust for your facility maintenance and cleaning tasks.